Maintain These 6 Fluids To Keep Your Vehicle In Good Condition! It’s inevitable that you’ll build an attachment with your vehicle, whether it’s from all the quality drives or the fact that you’ve splashed a lot of cash on it… so it makes sense to provide your trusty companion with regular maintenance! This includes delivering a little TLC to the fluids that play vital roles in your vehicle. By neglecting these fluids, you run the risk of them becoming contaminated and not carrying out their role efficiently. After a long period of time, this may cause engine damage which could shorten the life of your vehicle. So do yourself a favour and save yourself a few trips to the mechanic, by learning how to check all the different fluids yourself! When you’re driving, engine oil lubricates all the moving components of the engine and ensures everything runs smoothly. By doing this, the oil prevents the moving parts of the engine from getting damaged by the high levels of heat caused by combustion and friction. Now that we’ve established that your engine cannot function without it, let’s cover how you can check it. Ensuring that there is a right amount of oil in the oil tank is important, as discovering that there is less than there should be can indicate a leak or even burning oil. To start off, you should ensure your engine has been running for a little while, and then be switched off for at least 10 minutes, to allow the oil to cool down and settle at the bottom of the tank. Under the bonnet of your car, the cap of the oil tank should have a dipstick attached to it, which will allow you to measure how much oil sits in it, so remove the dipstick and wipe it clean with a cloth. After ensuring there is no remaining oil on the stick, insert it back into the oil tank, then remove it and observe where the oil marking lies. The dipstick should have lines indicating the maximum and minimum amount. If the oil line lies on or below the minimum mark, you should add more as soon as you can, due to the fact that, as mentioned previously, it could mean there is a leak or oil could be burning. So checking the level of oil is ticked off your list, however, something else to check out is the condition of it. Unfortunately, or fortunately if you like getting your hands dirty, you will have to feel the texture of the oil with your fingers. The best method is to rub the oil between your fingers to feel for any bits and gravel like particles, opposed to the slick feel it would usually have. Any particles found may be due to parts of the engine wearing down, which is quite a big problem that you should get professionally checked out. Okay, last check! One thing to observe is the colour of the oil. If it has changed from its normal amber colour to a dark brown or black colour, this could mean that the oil is now contaminated and in need of fresh replacement. Similar to how we considerably warm up from exercise, the engine also creates a lot of heat from all the work that it does. The role of the coolant, which is also commonly known as antifreeze, is to prevent the engine from overheating. In simple terms, it does this by collecting all the heat formed from the combustion and friction in the engine and expelling it out through the radiator. Before you even begin to check your coolant levels, you need to make sure the engine is cool, if it is running or it’s hot, do not under any circumstance check it! The fluid is pressurised, so removing the cap of the tank whilst it’s hot could cause burns from a sudden burst of hot water spraying out. Now first, you need to identify which tank is the one storing the coolant. If you’re unsure, you can refer to your owner’s manual for its location. Once found, you can observe if the level of fluid is between the minimum and maximum marks of the coolant expansion tank. If you find that it lies beneath the minimum mark, remove the radiator cap carefully with a cloth, and peer into the tank to see if the coolant is visible. If you don’t find the fluid level near the top, you will need to add some antifreeze to the tank, ensuring that it is the appropriate one. Brakes are a very important component when it comes to your driving safety. As the majority of vehicles have brakes that are hydraulic, this means the brake fluid directly connects the pedals to the brakes. If you question whether the brake fluid is vital or not, just remember that this fluid is responsible for bringing your car to a stop whenever you hit the brakes! The response is meant to be immediate, however, if you feel there are any delays in the brake performance or any sponginess when you press on the pedal, the best option would be to check the fluid first. Similarly, with all the other fluids, you will find a reservoir under the bonnet that holds the brake fluid and you will need to check if the levels lie between the minimum and maximum marks. If there is too less, you will need to top it up with the same suitable fluid. Brake fluids will differ in colour; however, one main similarity is that they are translucent liquids. If you find the fluid is too cloudy or dark to see through, you will need to have it replaced by a mechanic. This fluid is one that helps us out a lot when it comes to steering. Without it, you’d have to summon hulk strength in order to turn a corner or park. If you experience any issues like your vehicle groaning when you turn it or difficulty turning, you should check your power steering fluid. Under the bonnet, you should find a reservoir sometimes labelled ‘steering’. If the container is not opaque and you can’t view the fluid without opening it, you will need to give the reservoir a quick clean to prevent any dirt contaminating the fluid, when you remove the cap. A dipstick should be attached to the cap and it will allow you to check where your power steering fluid level lies. Again, there should be a maximum and minimum mark on the dipstick, similar to the oil tank, so if you find there isn’t enough fluid, you will need to find the appropriate power steering fluid and add some to the reservoir. The role of transmission fluid is very much similar to the job of engine oil; it lubricates all the parts of the transmission, such as the gears. In most cases, transmission oil doesn’t ever need to be changed, as it’s meant to last with the whole life of the vehicle. However, if you feel you are having trouble with your transmission, such as it slipping or you experience rough gear shifts, then you may first want to have a quick evaluation of your transmission fluid before checking the other components. With some vehicles you will need a mechanic to check the fluid levels, however, if your car has a dipstick, you will be able to do it yourself. Checking this fluid is very similar to checking the oil, except you should leave your engine on, with the vehicle in neutral or park and the handbrake engaged. This is to allow a more accurate reading, as the fluid will be warm. There should be a dipstick under the bonnet, which you just remove, clean with a lint-free cloth and re-insert to view the level of transmission fluid in the reservoir. Review the fluid level and add the accurate type of transmission fluid if necessary, to bring it up closer to the maximum mark. Again, same as with the oil, rub a little bit of fluid between your fingers and feel for any particles or grit. If you find some and the fluid also looks dark and cloudy, with a hint of a burnt smell, you should have a mechanic flush the old fluid and replace with a fresh amount. Whilst this fluid may not have the biggest job in the operation of your vehicle, it’s still important for you to see clearly through the windshield whilst on a journey. As you may realise, the windshield gets dirty pretty quick, somehow always getting a splatter of dead insects stuck on it. Thankfully, this fluid is pretty quick and easy to check. Under the bonnet, you should find a clear reservoir that holds the fluid, usually with some type of water or windshield symbol on it. Simply remove the cap, fill the reservoir up with the required windshield fluid and voila, you’re done! There we go, you may finally understand how important these fluids really are, so maybe it’s time to pop a few reminders on your phone for regular checks, like an oil change, for example. Always keep your eyes peeled (nose and ears too) for any unusual smells and sounds that may indicate a problem with your vehicle. It’s the symptoms that you spot, that may make you aware of an issue with any one of the fluids, so be alert! We don’t know if we’ve told you already, but at Sinspeed, it’s our goal to ensure your vehicle remains sound and healthy! So if you have any suspicions that you may have a problem with any of these fluids, we offer a range of services that could be the solution, so book your vehicle in with us today! 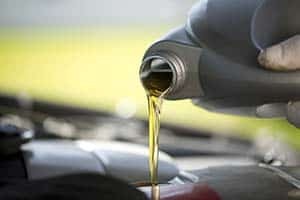 Tags : 6 Car Fluids That Need Maintaining, 6 Essential Fluids In Your Car That You Should Maintain, 6 Fluids To Maintain In Your Vehicle, Car Fluid Maintenance, Car Fluids That Require Maintenance, Check Car Fluids, Check These 6 Essential Car Fluids, How To Maintain Your Vehicle By Checking These 6 Fluids, Vehicle Fluid Checks. ← The New MOT Rules That Are Now In Effect!